Stacion - Center for Contemporary Art Prishtina as part of the project "Politics and Contemporary Art" and the program planned for implementation during the end of this project, has planned two time based modules, reserved for artist projects that are carried out through an open call procedure. Open Call2 is based on the principle of "division of labour". 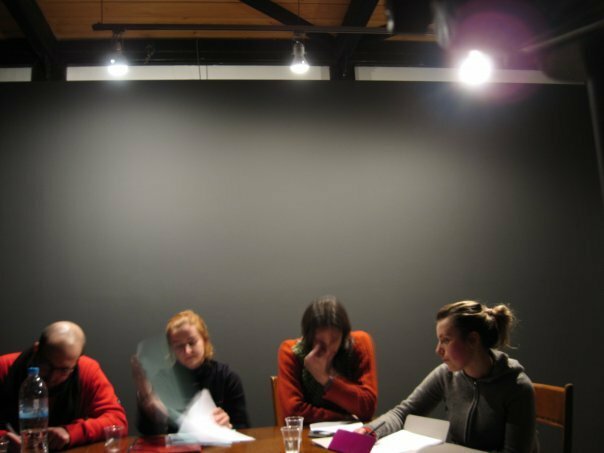 It is based on the decentralization of decision making, where these three roles (artist, curator and critic) work for a final product, which in this case is an exhibition. The exhibition becomes a place for the production of content. In this case Stacion - Center for Contemporary Art Prishtina is an open space - in a specific time and place - a necessary space for decision-making, fundamental for reflections, re-formulation and the "place for making mistakes". Dita Ethemi is the first artist selected though Open Call2. The curator of the exhibition Open Call2: Dita Ethemi, is Alban Muja. Agon Hamza has supplied this collaboration with critical texts about art, position and thoughts on contemporary art. Era Krasniqi is the coordinator of the exhibition and the meeting point of Stacion's structure with the artist and the cooperative that has produced this exhibition. - From the critic's position, which have been the critical points of this collaboration? How did this influence the final product? - The collaboration through the process: have there been any self-censoring tendencies from all three parties involved or has the process produced content. - The Role of critique in developing contemporary art and creating a more critical public regarding contemporary art works. The Debate is open. The participation is free. "Individualism - even though the subject of the presentation, conditionally let's say is "borrowed", from a person (marginalized) in this case his reaction is not important, since this reaction is spontaneous". "Individualism in the artist Dita Ethemi, somehow provokes us with the question, how important is an artistic act. This can be applied even when this act is done far away from the public eyes or exhibition spaces". "Contemporary art (in Kosovo) exists as something fragile, contentless, fully stripped from any social and political context of the place. L'art pour l'art is the existing formula of action and artistic work.